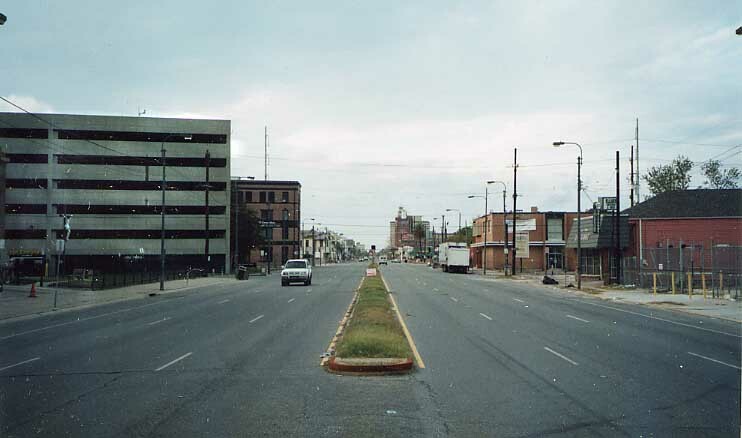 This is what Tulane Ave looked like, looking towards Midtown, several blocks north of I-10. 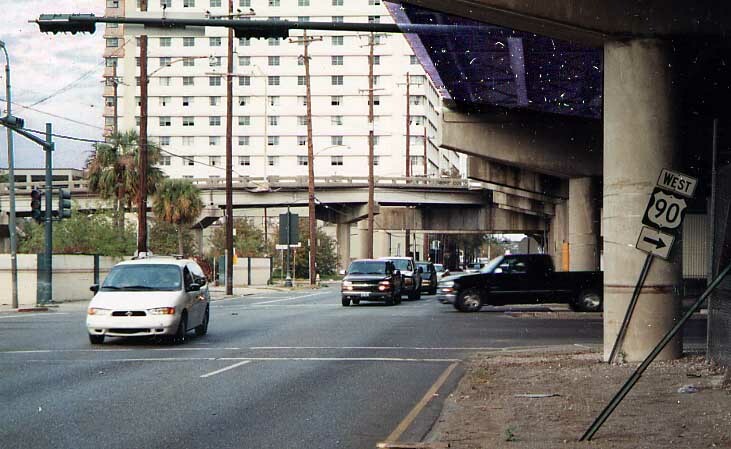 Before Katrina, I would of been ran over trying to reach this location. A minor casualty from the storm. The US 90 shield is facing the wrong way. 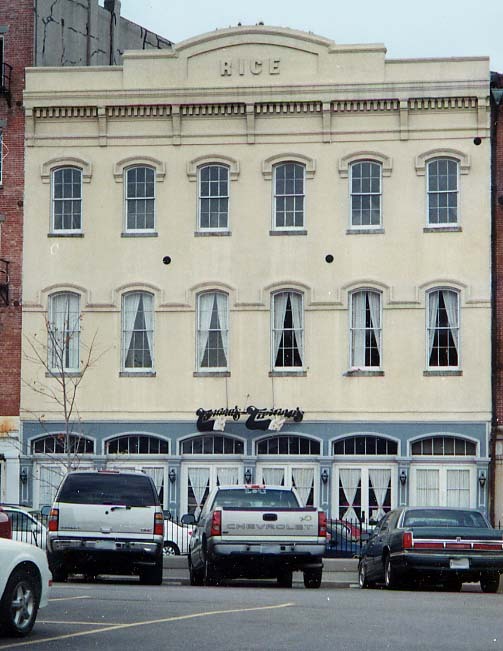 This hotel had yet to replace these upper level windows at this time. 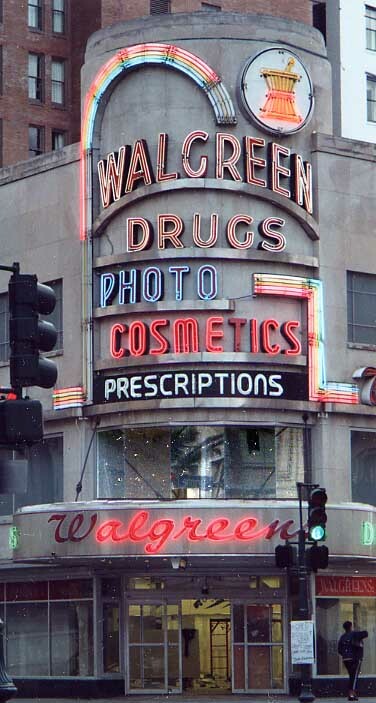 Left Photo: The neon for the Walgreen store drew my attention, but look closely at the entrance. You can see some restoration work going on inside the store. Right Photo: Coyote Ugly is open everyone, that's what the spray painted bed sheet says. Tipiatina's appeared to get by without nary a scratch from Katrina. 3 months after Katrina roared through, access to the Lower 9th Ward was still disallowed. 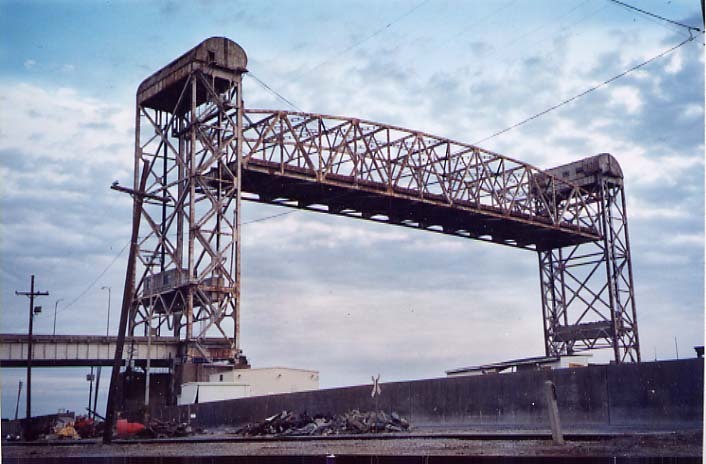 The Claiborne Ave lift bridge over the Industrial Canal was left in the raised position to keep people out. You can also notice the scrap metal/trash collected at the levee wall there as well. Welcome to a ghost town. This is part of the Lakeview section of New Orleans that got washed by the 17th Ave Levee break. The following four photographs were taken in an area between the 17th Ave levee, City Park, I-610 and Veterans Blvd. Return to the Jazzy Bayou Roadside Photo Page.